Van Life Czech Republic - A Road Trip That You Simply Cannot Miss! 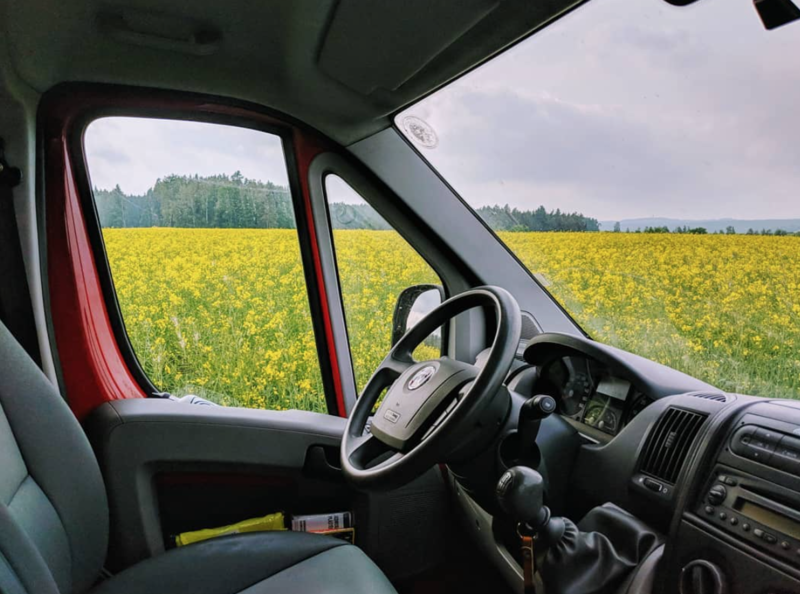 Van Life Czech Republic – A Road Trip That You Simply Cannot Miss! 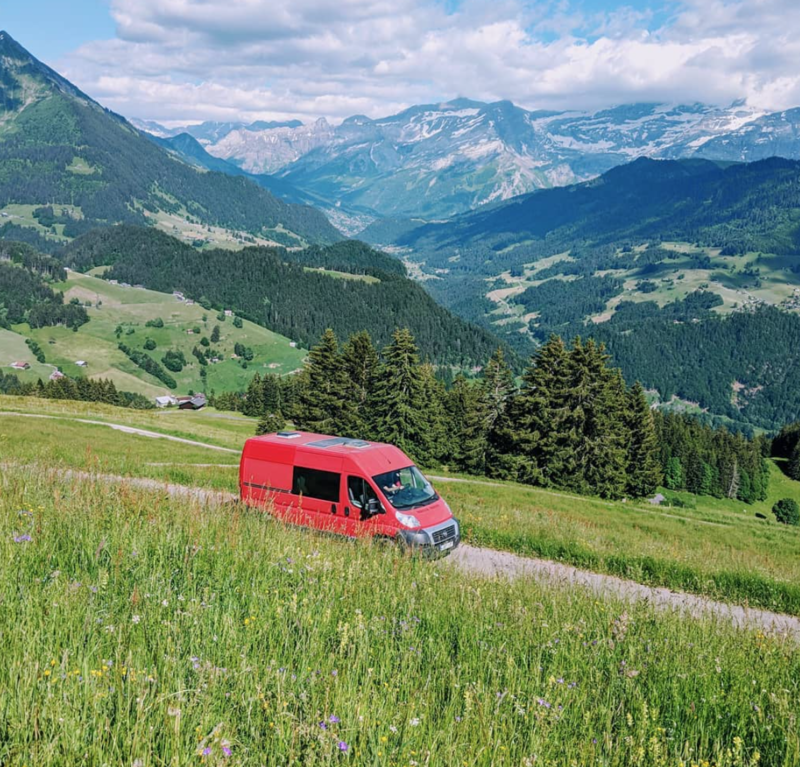 Hello Van Clanners, and welcome to another article in our Van Life Global series. 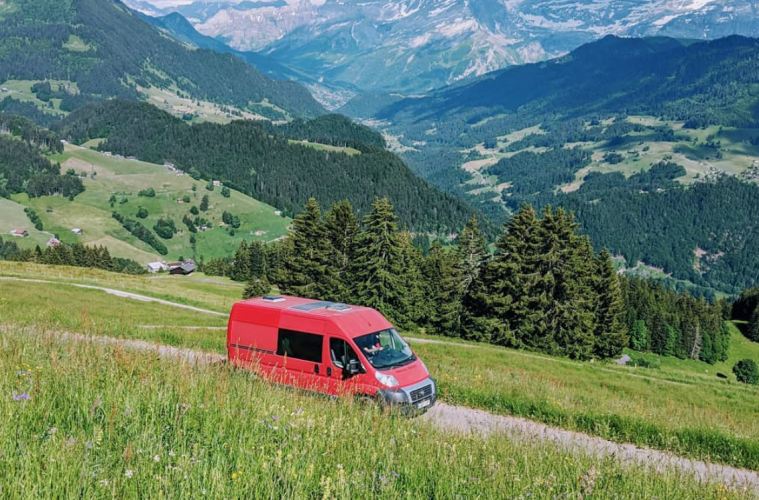 Now if you’re planning your next road trip to Europe you’ve probably got Van Life Italy, France, Spain and Germany on your list, right? Well, about half an hour from Germany is a place that you might not have considered visiting but needs to be on your travel list. We’re talking about a movement with a large community of vandwellers and some of the most stunning scenery that you have ever seen. We’re talking about Van Life Czech Republic. Known for its grand castles and a vast array of beers (now we have your attention), the Czech Republic is full of Baroque, Gothic and Renaissance buildings everywhere you look. The capital, Prague, is a famous holiday destination, and a short hike up any hill in this amazing country will greet you with a sea of terracotta rooftops and stunning sunset views. 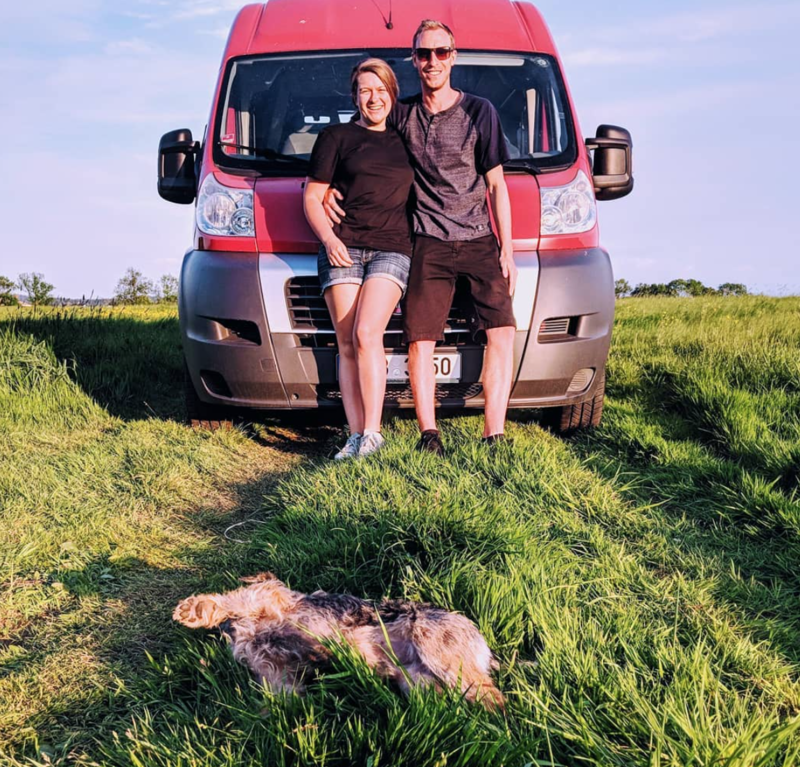 Today we’re going to find out more about Van Life Czech Republic from two native Van Lifers, Kerri & Steve @eatplayvan. 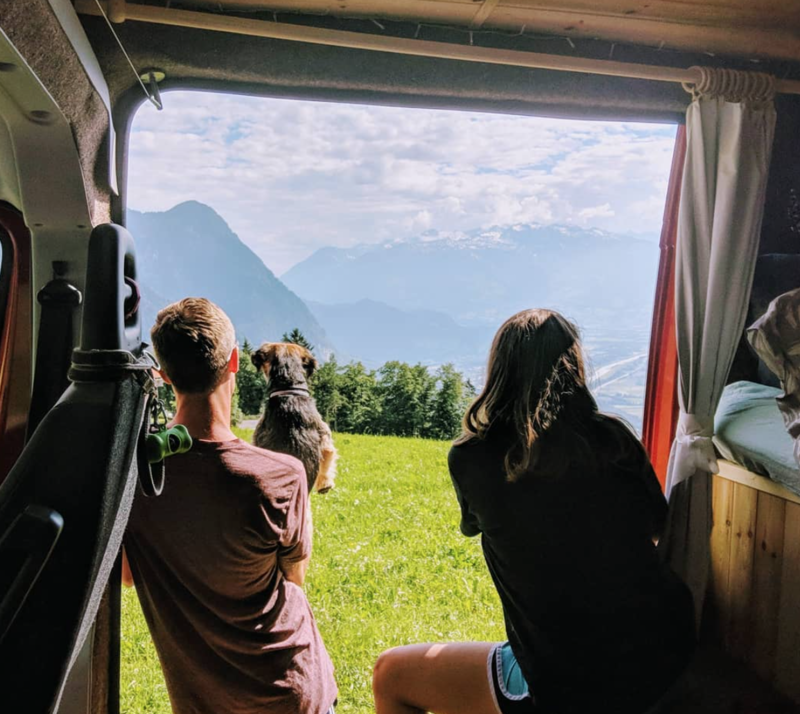 They’re travelling around the world in their Fiat Ducato camper and are excited to share their adventures around The Czech Republic with the Van Clan community. Take it away guys! Hey Keri & Steve, welcome to the Van Clan. 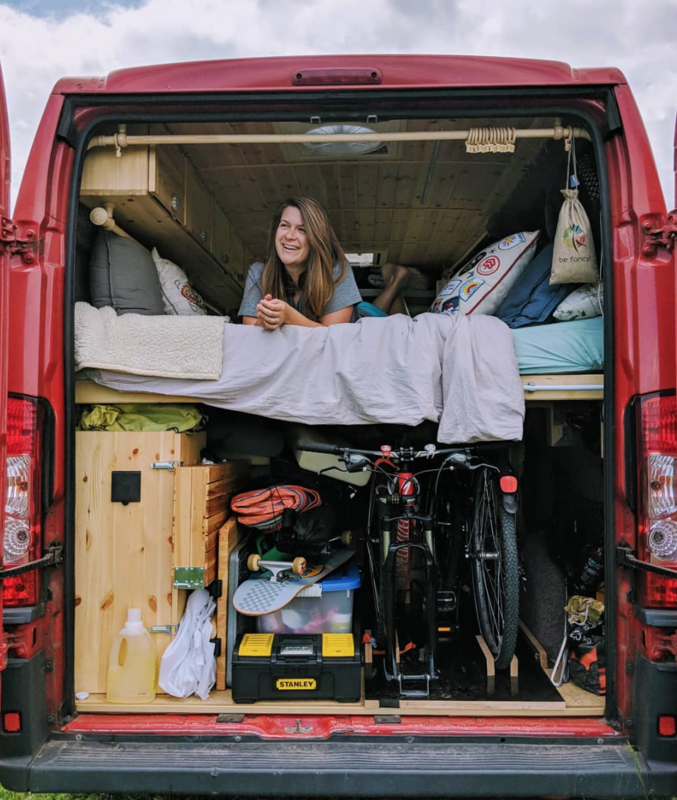 Tell us a little bit about you and your van! Hello Van Clan! @eatplayvan consists of Keri, Steve and, Karmen. We met while working at a ski resort in southern Vermont. Kerri was a skier and Steve was a snowboarder – they do say that opposites attract! We fell for each other from the get-go and after one year of long-distance dating we packed up our lives and moved to the Czech Republic. We have been living and working at an international boarding school for the past four years. We got Karmen, our van, in Czech three years ago and love her like a child. 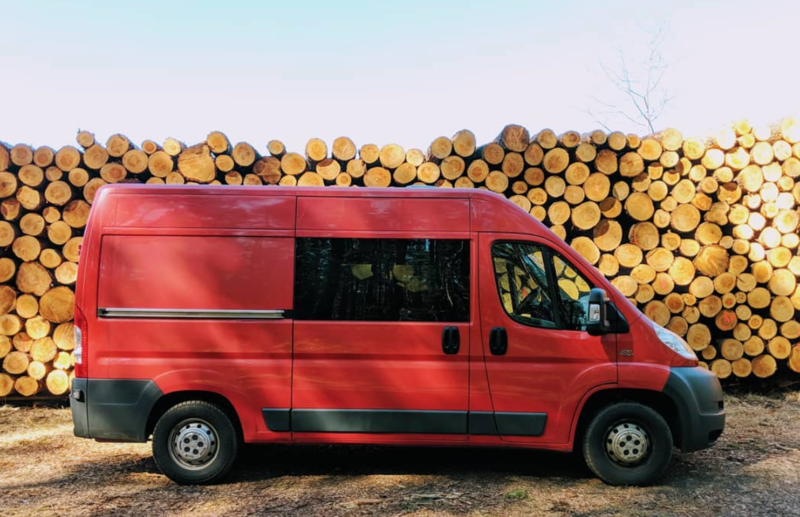 Our van is a Fiat Ducato L2H2 from 2009 with 85,000 km in fire red! We wanted to be able to stand up inside and be able to park in a normal parking space. 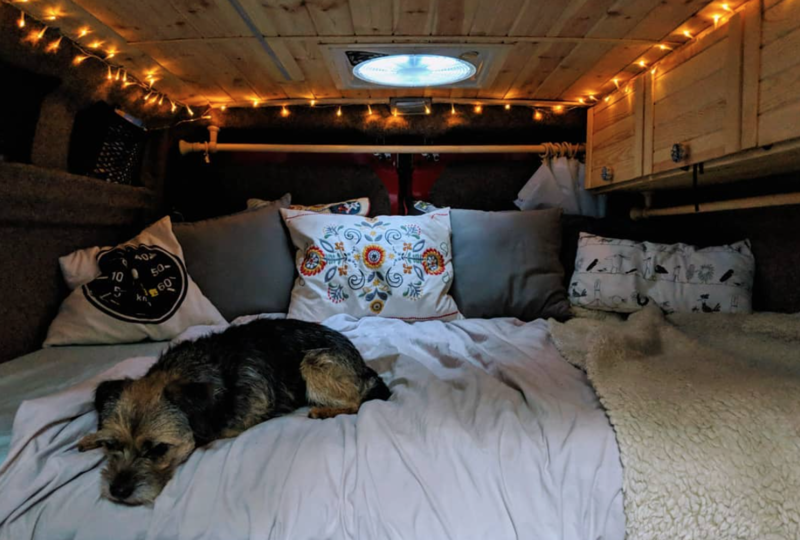 To do this and maximize internal living space we decided that we needed a transverse bed and the only chassis that we found that could comfortably do that for someone 6 feet tall was the Ducato or similar Peugeot and Citroen models. She has a two burner dometic stove, sink, 30-liter Waeco drawer fridge, auxiliary diesel heater, solar power and much more! 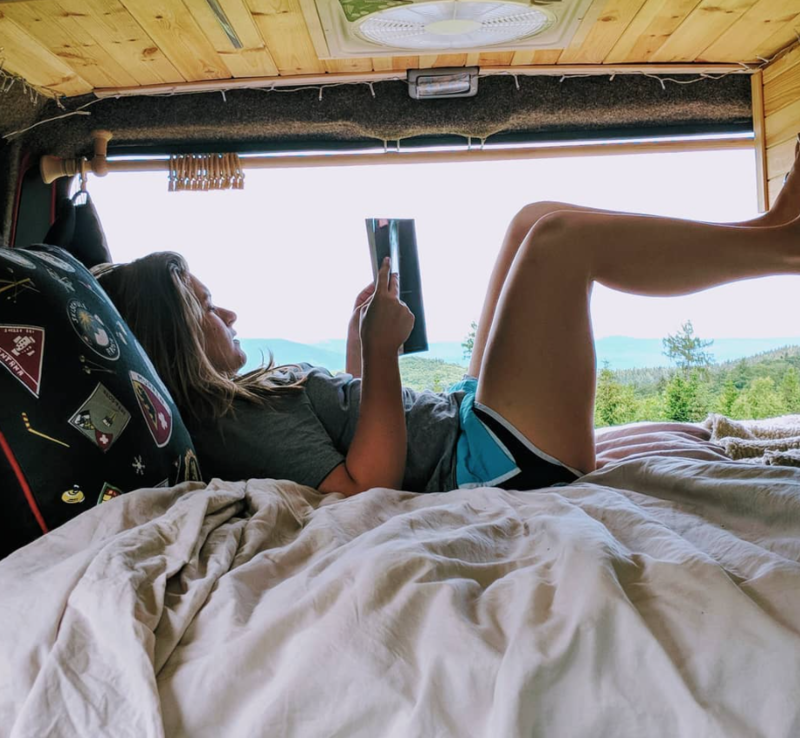 What made you decide that Living In A Van was for you, and how are you finding it so far. Keri was the genius and driving force of our Van Life Czech Republic adventure. We have been saving and planning for the past two years, and now it is a reality. It started when we took a vacation to Japan a couple of years ago. As passionate skiers and snowboarders we had wanted to go to Japan forever, but struggled to afford everything! Keri found a company in Toyko that rents the best camper vans. Like everything else in Japan, we could only afford the basic with nothing fancy. It was a Toyota something and was not really a camper van; it was more like your everyday minivan that had fold down seats. 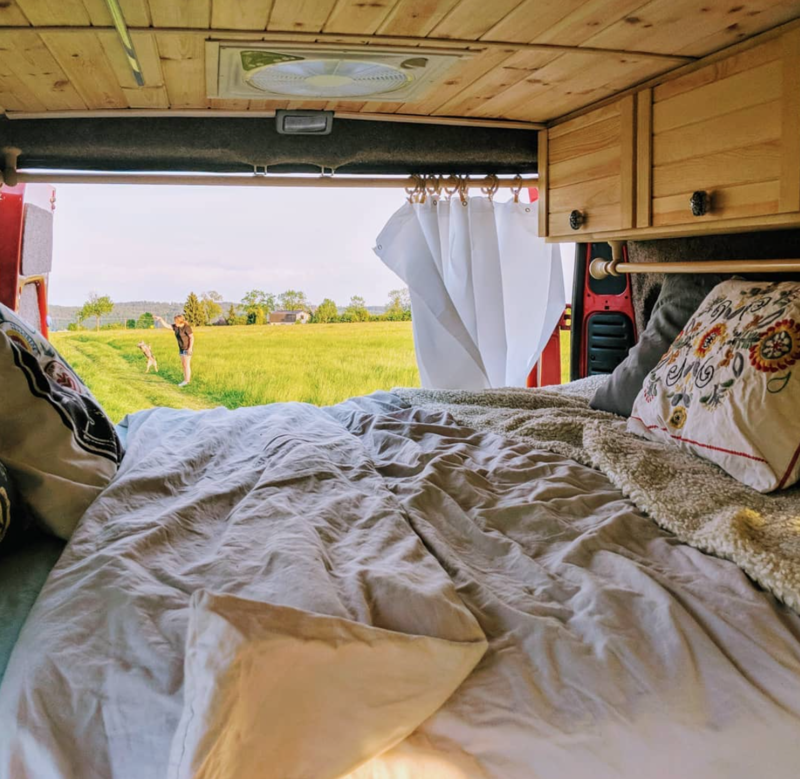 We tossed a mattress over the seats, put curtains on the windows and called it a day! We could not stand, cook, or basically do anything inside for three weeks, but we loved every second of it and dreamed of building our own. In Japan, van life is magical. So many people convert their van and hit the mountains during the winter time. They receive more snow then you can imagine and have super cold temperatures of -20C! As I said, we were hooked and started shopping the web once we returned to Czech. 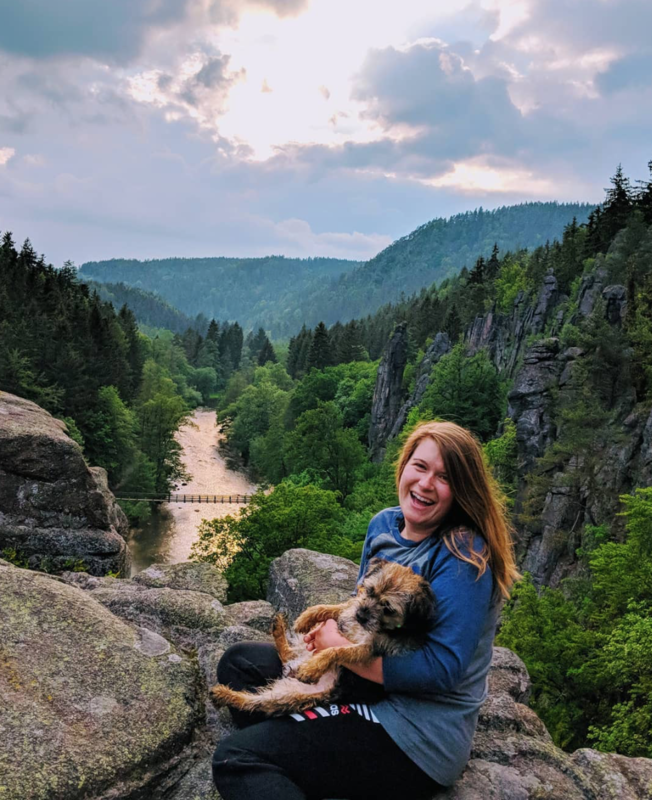 Tell us more about your adventures through Van Life Czech Republic! Van life Czech Republic could not be going any better. There is definitely a large van life community as we are only 30 minutes away from Germany. Most of the vans we see in Karlovy Vary are German. We are happy that we kept our van very discreet so that not many people know we are sleeping inside until we open the sliding door! We have been using Park4night and always sleeping at spots that we have seen while biking and hiking. We have stayed in the city centre, the mountains, forest and even down by the river! No one has said anything to us about where we park, most people only ask about our dog! When local people do engage with us, the confusion sets in when they hear our crazy accent in our broken Czech, but we are used to that now. Van life Czech Republic and life in general here in Karlovy Vary has been great because gas stations will lend us water, there are public toilets at parks and shopping centres and the pools and gyms are reasonably priced for showering. Most campsites have electricity and showers, but we found that we took showers at public pools and gyms. The prices were under 5 euros so we would have a swim or a workout and then a shower! We do take our time reading different parking signs, but the feel is that the police won’t bother you unless you are causing a problem. We have been campers and hikers for most of our lives and follow a ‘leave no trace’ philosophy, even trying to leave camp spots better than when we found them! We think this helps with people allowing you to park different places. 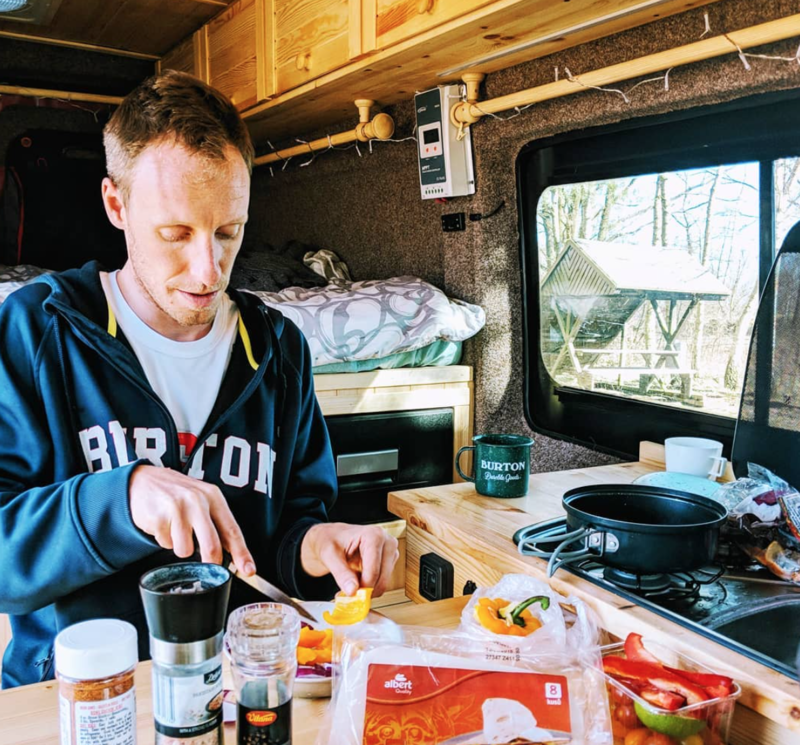 Are the basics of living on the road in Van Life Czech Republic expensive? Fuel is pretty comparable to most of Europe, but food and drinks are very reasonable. You can get beers for 1 euro; and then a soup, main and drink for lunch for under 10 euros, even when sitting down at a restaurant. Get this though – if you want to drink water and not beer then you will definitely pay more!! Beer is cheaper than water in CZ! We never bought water for our van, most gas stations would let us fill up our canisters in their bathroom, or we would go to public parks or friends. How have your lives changed now that you are living off the grid? Comparing travelling to our previous life would have to bring us back four years to living in America but only for Steve. Keri has been travelling from a young age and has spent the past sixteen summers in Switzerland, she taught in South Korea and also volunteered in Africa for three summers. Once we moved to Czech, we started the travelling lifestyle. We moved here with two large suitcases each and vowed only to buy what we really needed. For the first two years, we could fit everything we owned in a small two-door Audi A3, which we did every summer driving to Switzerland from Czech. In the international school world, they provide housing which is great, but they can also make you move out during the summer time. That means that over fours years we moved over six times and every time we would downsize. Now we are very happy to say that our entire life fits inside the van. We have downsized to only our favourite belongings and things that we really need. It’s a great feeling to do your small part to help mother nature. 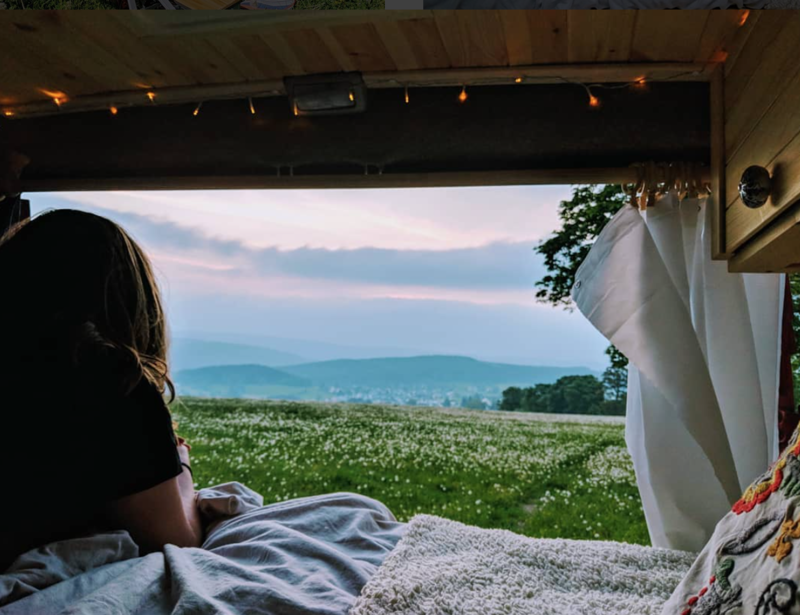 Tell us about a couple of your favourite places that you’ve been to while on your travels through Van Life Czech Republic and why they are special to you. So we live in the Western region of the Czech Republic called Bohemia, in Karlovy Vary. It is a sleepy spa town that is popular for older tourists, because of the healing properties of the mineral water. Here in KV, they have one amazing pedestrian road where older couples slowly walk the street and enjoy beautiful buildings, all the while drinking the mineral water out of special sipping cups. It is an acquired taste (think blood) to say the least, but I do believe in its healing powers. Our favourite places in Czech would be Ceska Switzerland, Cesky Krumlov and Moravia (eastern Czech). Ceska Switzerland is a series of amazing rock formations in the north of Czech on the border with Germany. Off the beaten path, but worth every minute of the drive. This area was used in the filming of the Chronicles of Narnia and was actually the area that they used for Narnia in the movie! Cesky Krumlov is an old fortified city that hugs the meandering river running through it! If you could teleport someone to the castle walls they would never think they were in Czech! The old cobblestone streets make you feel like you are living in the past and the whole time the gigantic castle walls loom above the small city streets. Making your way up and around the castle brings you into a world-class garden that also looks like it was used in a movie. One of our favourite restaurant experiences, and the place where we find our favourite food in Van Life Czech Republic is found hidden up in this garden. There is a small stone building that is only lit by candlelight. The meat is only cooked over an open fire and served on a wooden cutting board with no sides and nothing else fancy. They may give you a fork and knife but it is optional! Moravia is the far east region of Czech near Austria. There the pivot (beer) is traded in for vino (wine). It is a different way of life there that is not as much Czech in my opinion but more European. They enjoy the finest of wines with aged cheeses and fresh baguettes. The rolling vineyards cover much of the region with so many tasting options. In Mikulov, they have one hidden gem of a wine tasting experience that our best Czech friend was nice enough to share. After walking down a maze of stairways we came to a small counter. There you pay only 400CZK(20$) for all the wine you can drink for one and a half hours. They even give you a bowl of bread and cheese so you can survive the session. All the wines served are not only Czech but award-winning Czech wines that can go up against the best French or Australian wines. You should definitely visit! Instagram sometimes sugar coats Vanlife and doesn’t show the bits that we call ‘real life’. Has anything happened to you on the road or have you had any trouble? For us, the low points have been spills such as maple syrup in our small fridge or an overturned shampoo bottle in the back. These sort of annoyances would have happened in our regular lives and now that we are on the road they still happen! It can, of course, be frustrating trying to find a parking spot or getting the occasional ticket, but when you get to spend the majority of your time outside doing the things that you love it is all worth it! What advice would you like to pass on to the Van Clan community? Don’t be embarrassed. Growing up I was extremely thin-skinned and would get embarrassed all the time and still do from the simplest of instances. On the road, you don’t have the luxury of being embarrassed. I find myself constantly telling myself it doesn’t matter, they don’t know you, and you will never see them again when I see someone peering in our windows watching me use a wet wipe to clean my armpits! 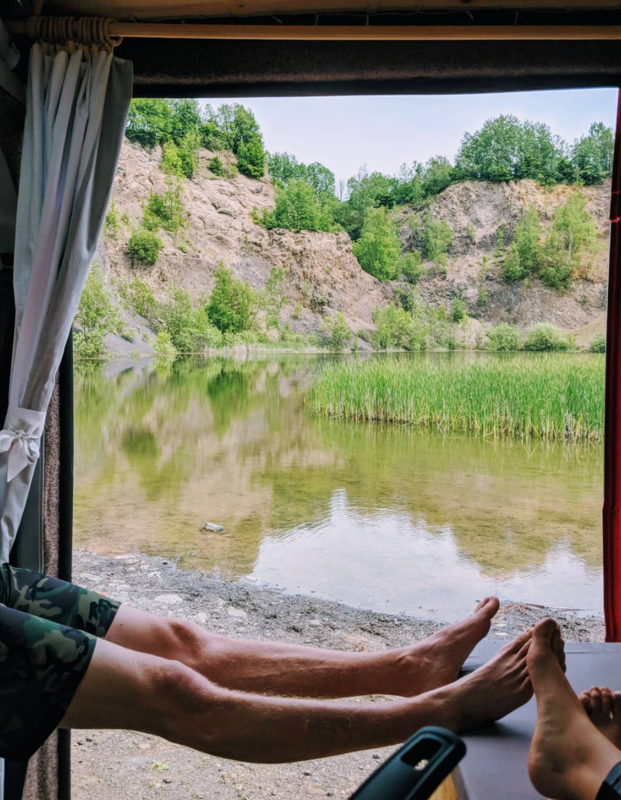 Finally, can you sum up your Van Life Czech Republic adventures in three words? Honestly, for us, it might be cliche and dorky, but eat, play, van! We love to eat and our ideal day would be spent eating all day, which we frequently do! Play, because getting outside and being active is what this lifestyle is all about for us! And van, because none of these adventures would be possible without our handy dandy rig! Thank you, Keri and Steve, for chatting to us today and for sharing your adventures through Van Life Czech Republic. Hopefully, if you’re planning a European road trip then you’ll take some of their advice onboard and go and check out this amazing country. 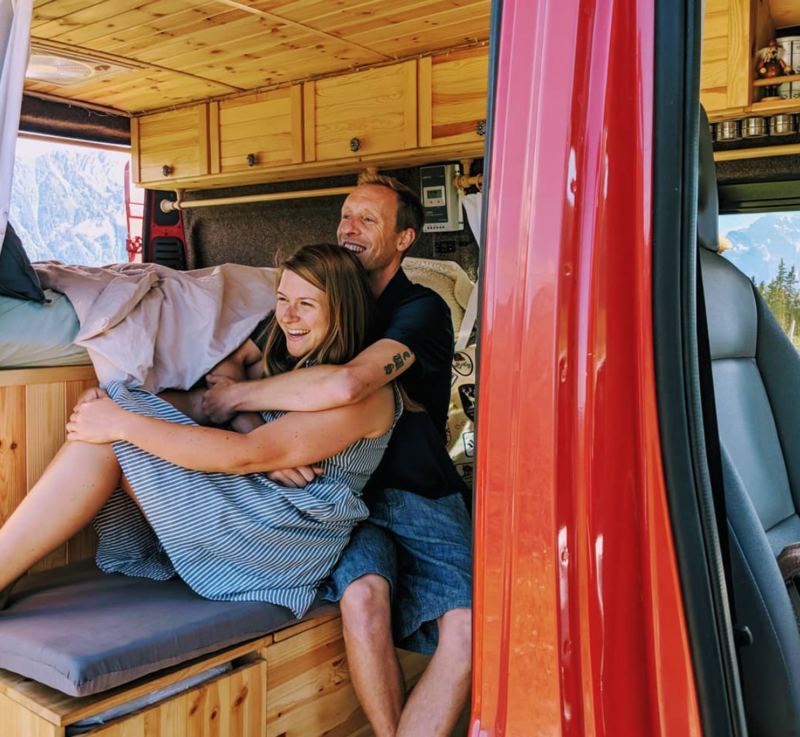 To find out more about Kerri and Steve and their Van Life Czech Republic adventures, join them on Instagram @eatplayvan. iKamper EatOut – The only piece of kit for the off grid chef. Parrot Anafi – A affordable 4K drone for travel bloggers.